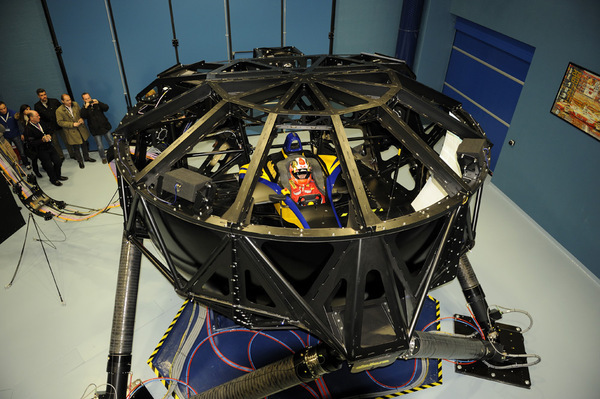 The simulator at Dallara Automobili’s headquarters in Italy is impressive to behold. It’s equally as impressive to be immersed inside the 650-ton spider, according to IZOD IndyCar Series driver Josef Newgarden. Newgarden was among a handful of drivers who recently got a feel for the simulator (Marco Andretti was strapped in for eight hours), which is complete with all the accessories (pedals, brake bias adjuster, anti-roll bar adjuster, etc ). A companion has been proposed for a space prepared at the Dallara facility in Speedway, Ind., which would be accessible to drivers and teams. It occupies a 40 x 40 foot, two-story room, contains more than 5,900 feet of fiber optic cable, has 16 monitors to visualize data, and employs a Dolby Surround 5.1 audio system. “It was useful for knocking off the rust and it could be useful to get back in the rhythm because the simulation they provide not only for the driver but the engineer is an environment that is close to what they have at the racetrack,” Newgarden added. Andrea Toso, head of R&D and U.S. 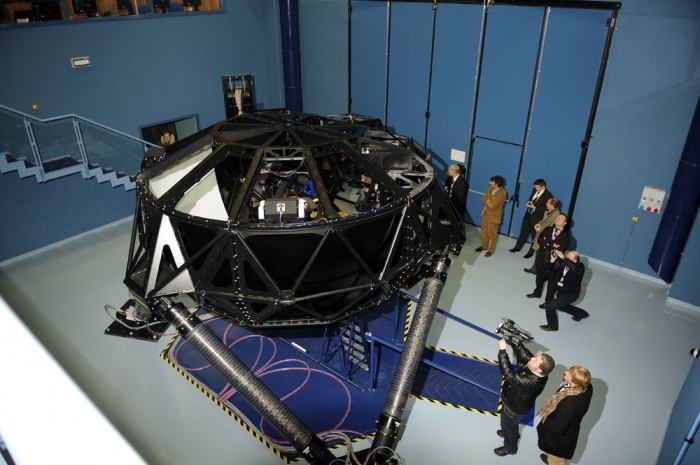 Racing Business Leader, said the simulator not only provides training for driver and engineers on different tracks, but will be fundamental in allowing engineers to fully evaluate and define a car, reducing costs associated with road and track testing. 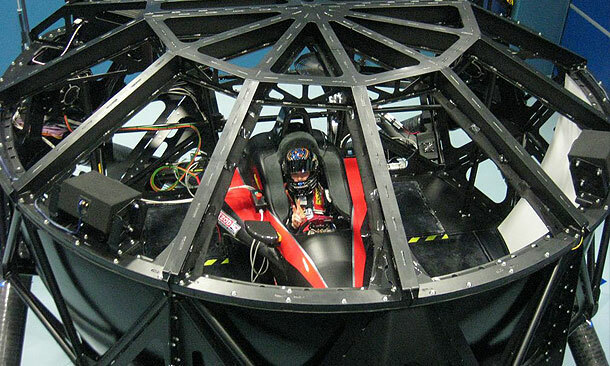 Aerodynamicists and vechicle dynamicists will find the simulator beneficial, while ergonomics, sports medicine and racetrack design are other potential applications. “Nothing can compare to being at the track testing as far as vehicle dynamics development. The simulator is the newest thing in what we have in our engineering tool chest,” said Sarah Fisher Hartman Racing engineer Nathan O’Rourke, who attended the test in Italy. 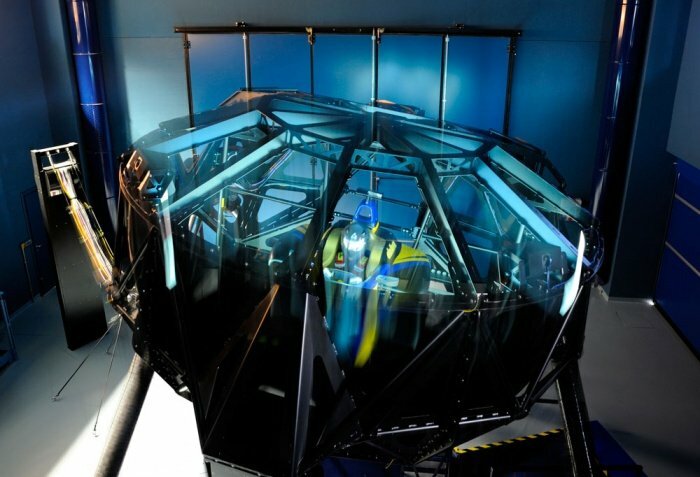 “You look at wind tunnel and 7-post shaker rig testing, which are basically simulations. I see its place as being one of the things you have to do to develop a vehicle. “You use these tools to come up with potential test items. The simulator is a great way to get a heads-up on some of these items or maybe confirm pre-exiting ideas like a spring package for the track. 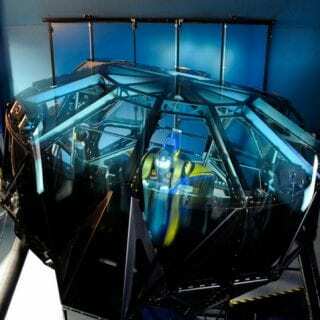 If you take it to the simulator and get a good result, that gives you more inducement to try it at the track. “Basically, every time the car is on track it’s costing you money and you only have so many sets of tires to use. Race weekends you have so limited testing time that you might have 40 items on your test list but you might get to try only five. It’s important that you pick the correct five things to ry. That’s where you use the simulator to narrow that test to a smaller hit list that you feel are really going to be advantages at that particular track.